The first time we wrote a post like this was back in February: The Blog Post You Have All Been Waiting For! Since then, I’ve tried some new places for ramen and I’m now ready to make another quarterly report. Remember, these are based on my personal preferences; what I thought tasted good and my overall experience. 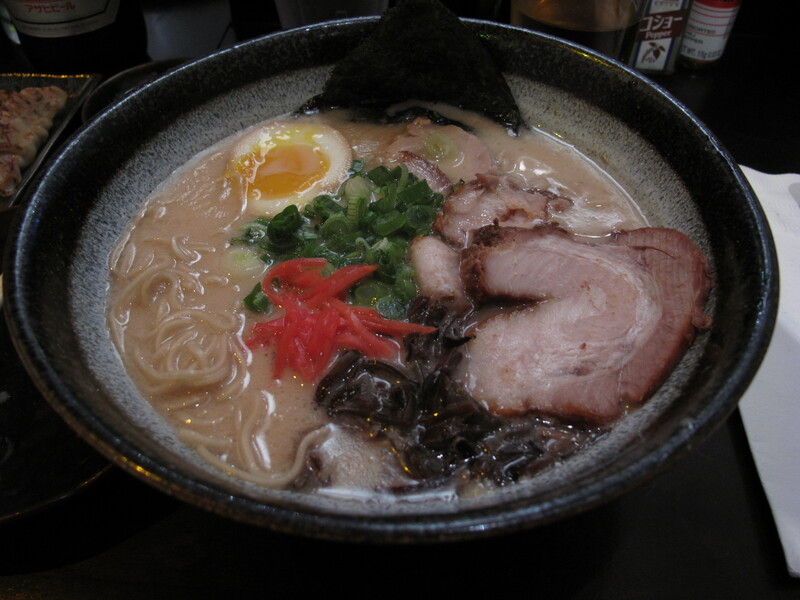 Hopefully my descriptions can give you an idea of what kind of ramen you are looking for! This is the newest addition to the San Gabriel Valley ramen scene and definitely competes with its neighbors. They serve a very satisfying bowl of ramen. 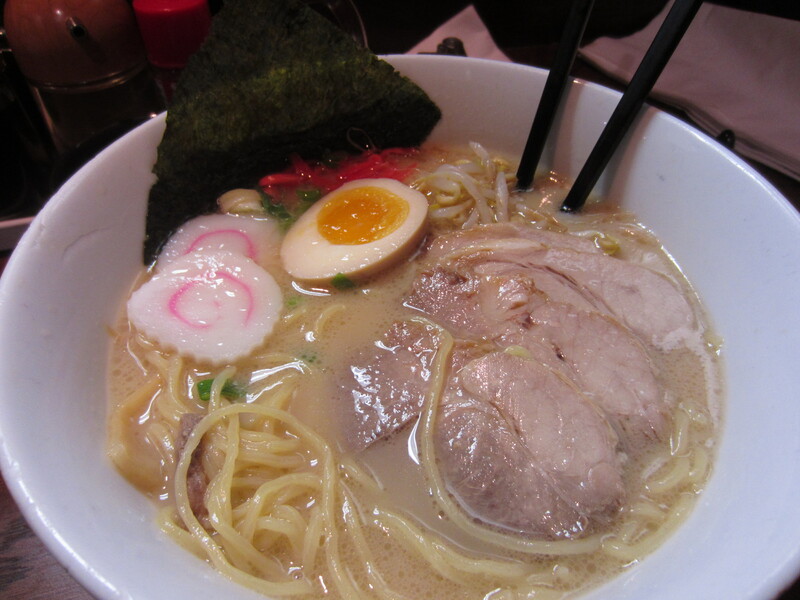 If you don’t mind garlicky ramen and breath, you have to try their marinated garlic! Heart attack? You bet! But that 60 our tonkotsu shoyu broth is oh so worth it! Maybe even the 60 minute or so wait. It was like gravy… pork gravy. 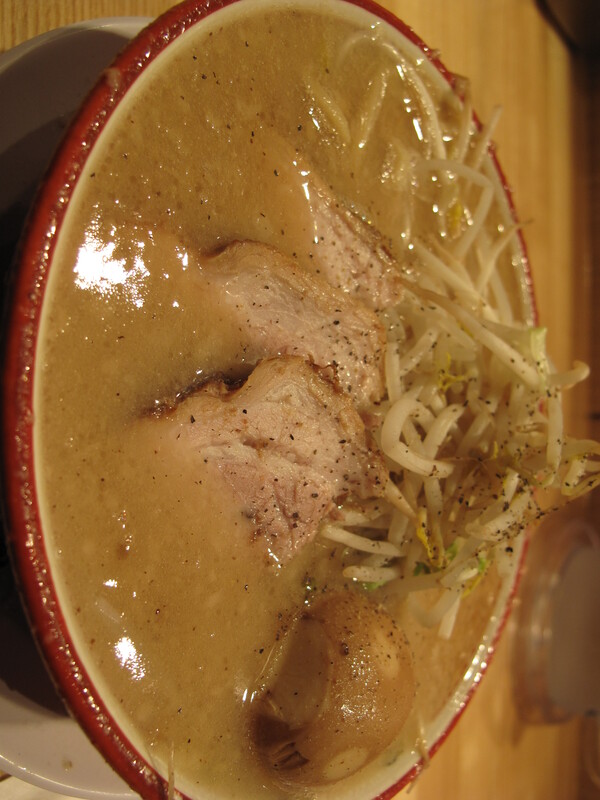 It’s a heavy ramen dish, especially with their fatty noodles, so make sure you’re starving when you get there! And don’t be surprised when the staff tries to get you out the door quickly. This place gets packed! Not only do they have their famous 60 hour broth, but they also make a bitchin’ tsukemen that came with the fat noodles. I had to put this at number 3 just because I preferred the thinner noodles in their ramen and I had a better dining experience here. FYI, they only serve their ramen during lunch, which I’m willing to wake up early and make the trek to SanMo for! Oh man, Men Oh is porkilicious! The broth may not be as thick as the Tsujita’s but I prefer it that way. Since I’ve discovered this place, it has been difficult for me to pay an old favorite, Shin-Sen-Gumi, a visit. Men Oh is kind of hidden, but it’s definitely a hidden gem of Little Tokyo! Blog post: Oh Man! Men Oh! It’s quite obvious how much I love this place. Despite how far the restaurant is for me, I’ve been going to Kotoya at least once or twice a month. Their spicy ramen is the best spicy ramen I’ve ever had! And hands down, the best chashu. Period. Noteworthy: Restaurants that are definitely worth checking out if you’re in the area! 1. Ramen Jinya, Studio City: A little heavier on the oil, but good broth and great toppings, especially the chashu! 2. Tatsu Ramen, Little Osaka in West LA: If you want a high tech experience customizing your ramen with an iPad and they’re open late. 3. 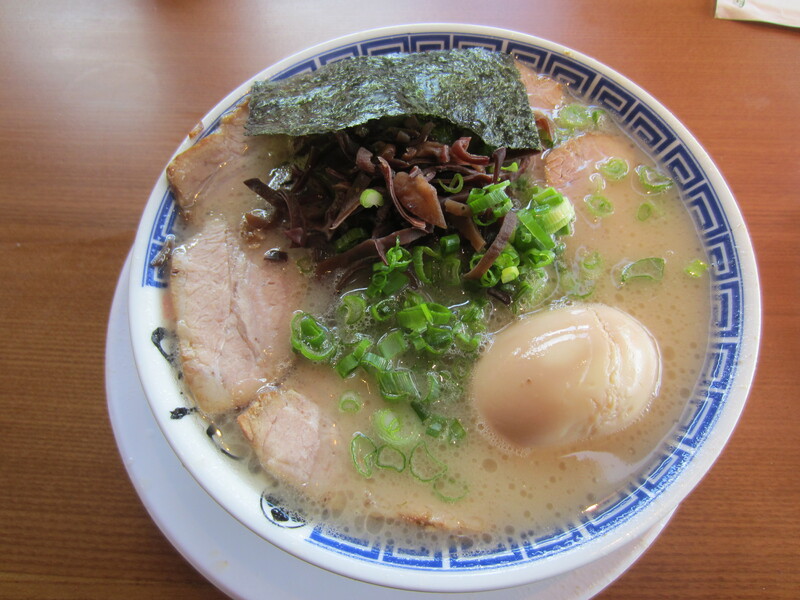 Ramen Yamadaya, Culver City: I’m not a kotteri fan, but I thought their tonkotsu kotteri was pretty good. There you have it! We’ll do another one of these in a few months. P.S. Unfortunately, Tanya hasn’t had a chance to try ramen out in LA yet, since she doesn’t go there much and has been quite busy. 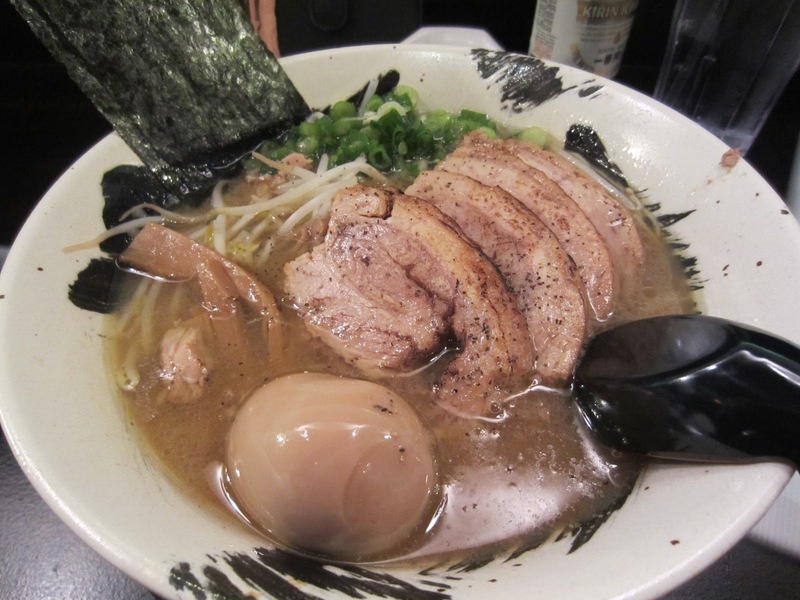 I work in LA a lot, hence… I could not stay away from their ramen! This entry was posted in Food, Japanese, Los Angeles, Ramen, Ramen Run, Restaurant Review and tagged iPad, Kotteri, noodles, San Gabriel Valley, Santa Monica California, Spicy. Bookmark the permalink.